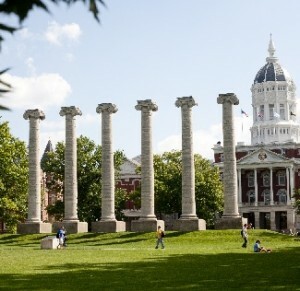 The search for a new University of Missouri President is progressing, according to UM System spokesman John Fougere. He says several candidates have expressed interest in the position, despite last fall’s unrest on the Columbia campus. Fougere says officials are pleased with the level of interest shown. “Across the state, the University of Missouri system impacts Missourians in every one of our 114 counties every day in a variety of ways. It’s certainly is refreshing to see that people around the country certainly recognize that,” says Fougere. The Columbia Daily Tribune reports that presidential candidates were interviewed Tuesday during closed-door meetings at a hotel near Lambert Airport in St. Louis. Fougere says a search committee is considering what leadership qualities are important to Missourians. “It’s really important to have an individual who can cultivate those key political, civic and business relationships that are really essential to leading a public university system, can demonstrate success in securing resources we need so dearly and support from public sector agencies and a multi-culturally competent individual,” says Fougere. Forums were held earlier this year to hear from Missourians about what qualities they want in the next leader. “I think that the board of Curators has done an excellent job in making sure that they have done their due diligence to make sure that they are receiving as much input from Missourians across the state,” says Fougere. Tim Wolfe stepped down as President after protesters demanded his resignation for his handling of racial incidents on campus. Mike Middleton was named the Interim President shortly after Wolfe resigned. A new President is expected to be named by the end of this year.